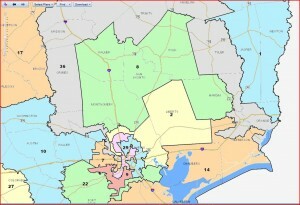 CD36 loses all of its western turf and takes in territory that had originally been drawn into CDs 01, 02, 08, and 14. While it can now be more accurately described as an East Texas district, it still takes a chunk of Harris County, which I daresay will remain the population center for it. I don’t know if this is more of what State Rep. James White had in mind when he complained about the original CD36, but if it’s not I don’t know that he’s going to get what he wants. East Texas didn’t gain population in the past decade, the Houston area – Montgomery, Fort Bend, Brazoria, and Harris – did. One way or another they’re going to get yoked to this area. This is probably about as good as it’s going to get for them. 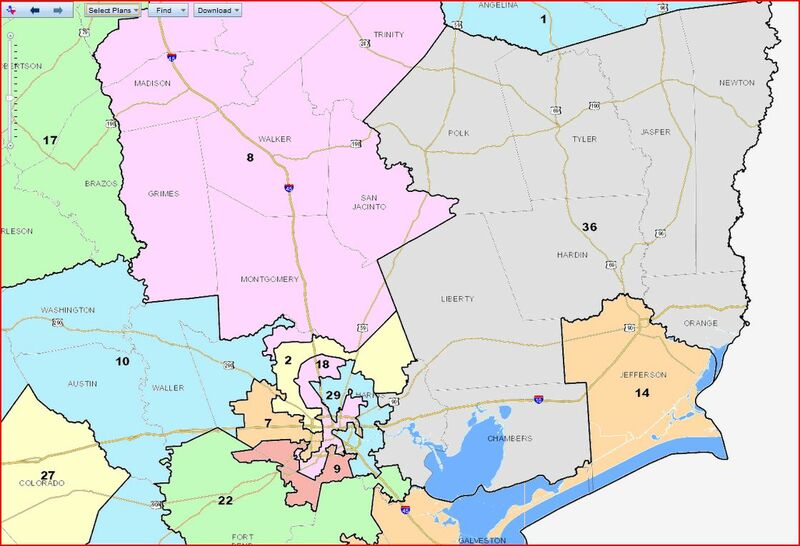 The folks in SN22 no longer have to be worried about being represented by someone from 200 miles away, but in return they get stuck with Ted Poe, whose CD02 is now entirely within Harris. CD08 takes most of the non-Harris portions of what had been the west and north ends of the CD36 arch – Grimes, Madison, Houston, and Trinity counties – while CD10 takes the piece of Washington county and the rest of Harris that didn’t go to CD02. 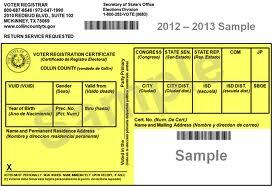 Angelina County is reclaimed by CD01. 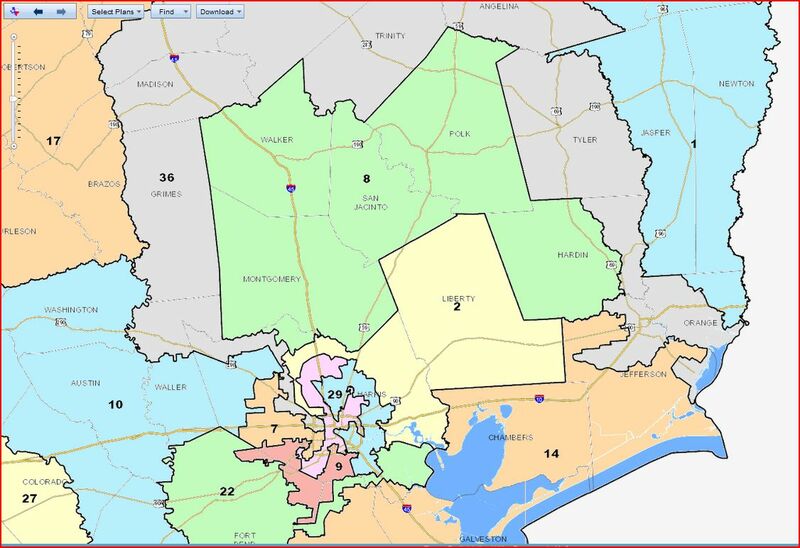 CD22 gives up much of its east Harris turf and picks up more of Brazoria. 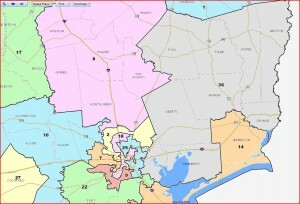 The Brazoria bit came from CD14, which loses Chambers and picks up the rest of Jefferson. There are some minor changes elsewhere in the map, which Greg discusses. He also disagrees with the contention made in the Trib that the changes to CD14 target Ron Paul. While I’ve long held the crackpot belief that this next round of redistricting would do Paul no favors, I also don’t think this is much of a threat to him. His district has been changed more significantly in the past, and it didn’t stop him. Short of eliminating his district altogether, I daresay he’ll keep on keeping on. According to this interactive Trib map, the redrawn CD14 is less red by a few points, but still pretty red and encompassing counties that are going the wrong way from my perspective. Paul has no real reason to lose any sleep. Anyway, this is what we’ve got for now. Most of what will happen between now and the eventual adoption of a map is aimed at the lawyers, since there clearly isn’t going to be much public input allowed. 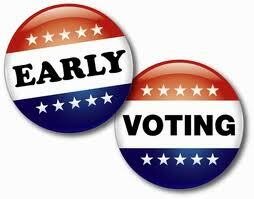 See Greg‘s liveblogging of the Senate committee hearing, the Trib, and Texas on the Potomac for more. Finally, while I doubt it will be considered during this session, State Sen. Jose Rodriguez sent out this press release about “legislation which would establish new guidelines for the process of redrawing congressional district lines.” It doesn’t create a non-partisan commission for this purpose as Sen. Jeff Wentworth’s biennial bill would, but it does require that districts “not be drawn based on partisan data nor with int ent to favor or disfavor any individual or organized group”. The bill is SB32 if you want to have a look.